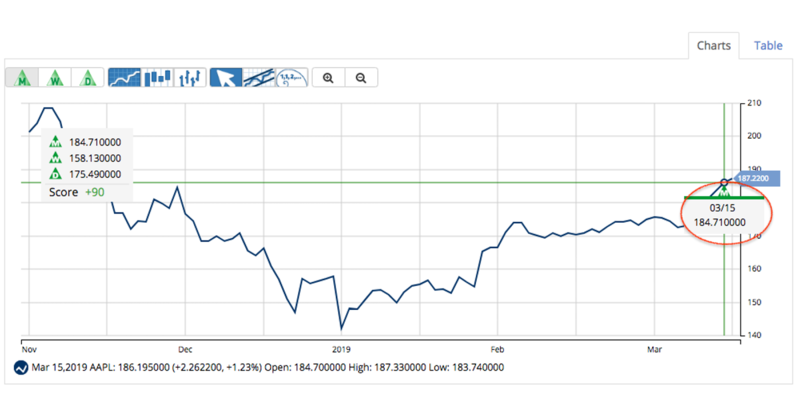 Our Trade Triangle technology just issued a major trade signal for Apple, Inc. (NASDAQ_AAPL) on March 13, 2019. After the stock made an all-time high on October 3, 2018, at $233.47/share, AAPL dipped back down to $142.00. Since then, the stock price has rebounded, triggering a new green monthly Trade Triangle at $184.71. This new signal and positive Chart Analysis Score confirms that Apple has moved back into a strong bullish trend. 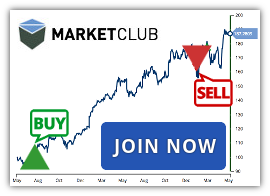 MarketClub members following the long-term strategy would be in a long position and would be waiting for our tools to warn of weakness. For intermediate-term traders, this latest Trade Triangle confirms the upward trend and the start of a minor swing. You can get the trade signals, daily analysis, alerts, and premium charting tools for AAPL and over 320K additional stocks, futures, ETFs, forex and mutual fund symbols.